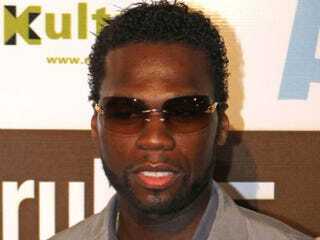 The Associated Press is reporting that 50 Cent is working on a new book with an anti-bullying message. Playground has been described by the publisher as a semiautobiographical young adult novel. It's due out in 2012 from Penguin Young Readers Group. The 34-year-old rapper has already released a memoir, From Pieces to Weight, and a self-help guide co-authored by Robert Greene called The 50th Law. We've heard abundant anti-bullying messages this year — even the White House has weighed in. But 50's voice could be the one some kids and teens need to hear on the issue. If a guy who's had a well-known violent childhood, dealt drugs and even been shot (somewhere between three and nine times) takes the problem seriously, perhaps it's really time to pay attention. In other news: WNBA Reaches 15-Year Milestone.